According to the Asian Development Bank, the Asia-Pacific alone requires an investment of $1.7 trillion a year over the next decade in order to keep up with economic growth and tackle poverty and climate change. Investment in infrastructure projects across Indonesia in particular has risen rapidly to respond to an economy that is set to expand by 5.3 percent this year and next. As the world's largest archipelago experiences year-on-year growth, smart and reliable machines are required to iron out a solid infrastructure for Indonesia. 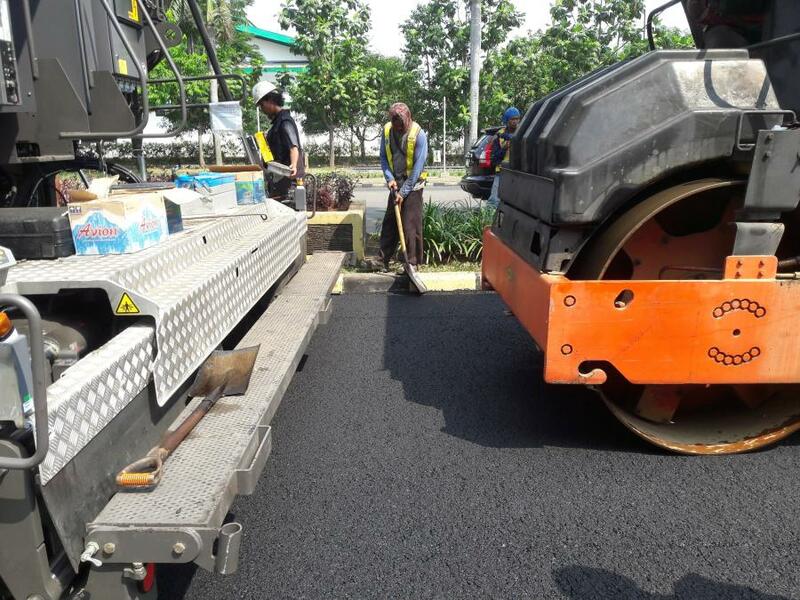 Which is why in North Jakarta, contractor PT Widya Sapta Contractor counted on Volvo's P6820C to widen the road access on an industrial estate — completing the project in just one week. "We needed to complete the road widening in one week, so we wanted the best and most reliable equipment available," said Binsar Simanjuntak, equipment manager at PT Widya Sapta Contractor. "The P6820C has high power at low torque and is a high-tech automatic machine with precise sensors that was able to continuously pave while providing good compaction results." In early May, the P6820C worked five to 10 hours a day to complete a .6 mi. access road in Cakung, a subdistrict of North Jakarta. The road-widening project will allow the road to accommodate 44 ton vehicles. The new Volvo P6820C tracked paver offers paving widths of 8.2 to 33 ft. and is powered by a 142 kW, Tier-III compliant engine to offer an average paving output up to 700 tons per hour. Equipped with a smart power mode, the P6820C paver offers up to 30 percent in fuel savings compared with its predecessor. Volvo Variomatic screeds provide customers with hydraulically-extending widths and the paver also can be configured with manual screeds. Meanwhile in India, a country which has laid 17,398 mi. of highways at a cost of nearly $43.6 billion and is expected to add a further 51,738 mi. of roads over the next four years, also has constructed a huge project in record time. The redevelopment of an 80.7 mi. 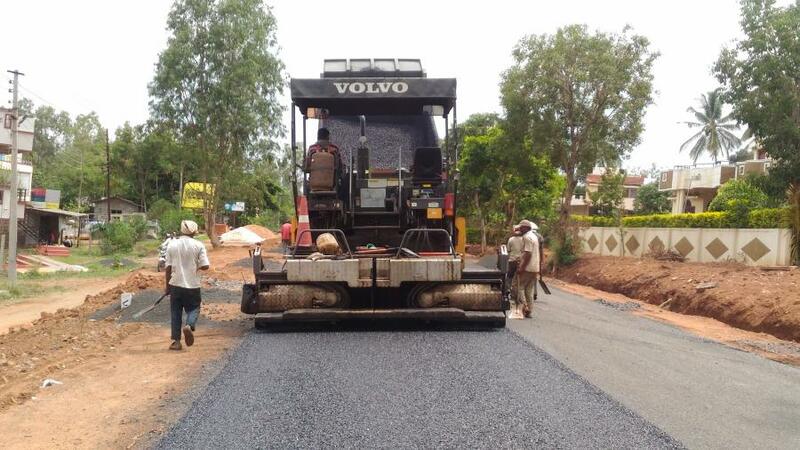 road from Aurangabad to Dhule in Maharashtra, led by road construction contractor Deshmukh & Co, was completed in just four months due to the Volvo P4370B paver. 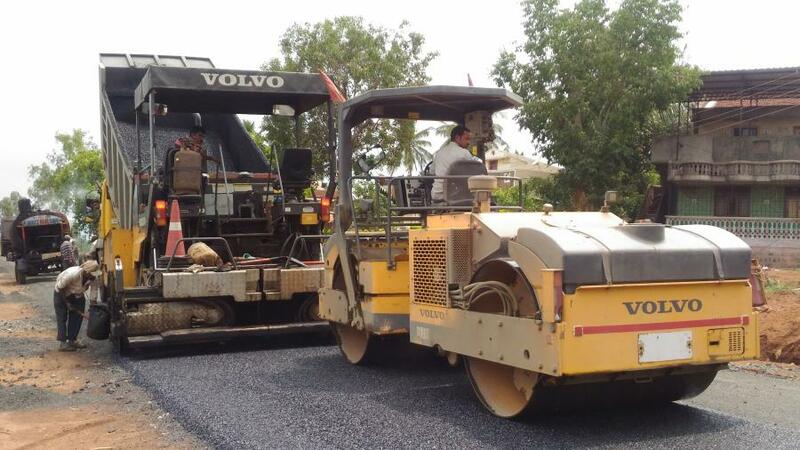 "We average 5 km a day with the Volvo P4370B paver," said Balasaheb Deshmukh, chairman and managing director of Deshmukh & Co. "While the P4370B delivers quick work, it doesn't compromise on quality either. Every road is finished smoothly, consistently and flawlessly." 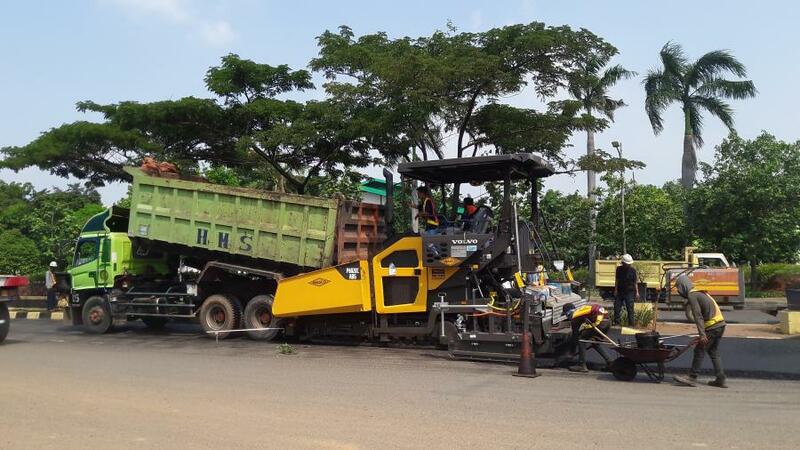 Manufactured at Volvo's plant in Bangalore, the P4370B wheeled sensor paver has a basic width of 8 ft., a rated power of 88 kW and a paving output of 661 ton per hour. The wheeled sensor paver features intelligent operating technology that helps the machine meet three requirements in line with highway design: mat thickness, mat level and grade requirement. The company said the P4370B's productivity makes it a standout performer. The P4370B is one of multiple Volvo machines in the company's fleet, which includes excavators, soil compactors and tandem rollers. Deshmukh & Co. purchased the Volvo construction equipment from local Volvo dealer Svenska Technologies. Deshmukh said he appreciates Svenska Technologies' aftermarket services. "Volvo machines have high uptime and rarely give us any trouble at all. But when we do need spare parts or service, Svenska Technologies is just a phone call away." The Asia Pacific economy is expanding so significantly that robust infrastructure investment will inevitably play a pivotal role in mobilizing workforces, transporting products and services and connecting the economic centers across the region. A strong infrastructure network also will mean improved access to education and healthcare and a higher quality of life. So, ensuring there is a fast and reliable paving process to begin with can be the key to providing the best possible roads to sustain this growth.